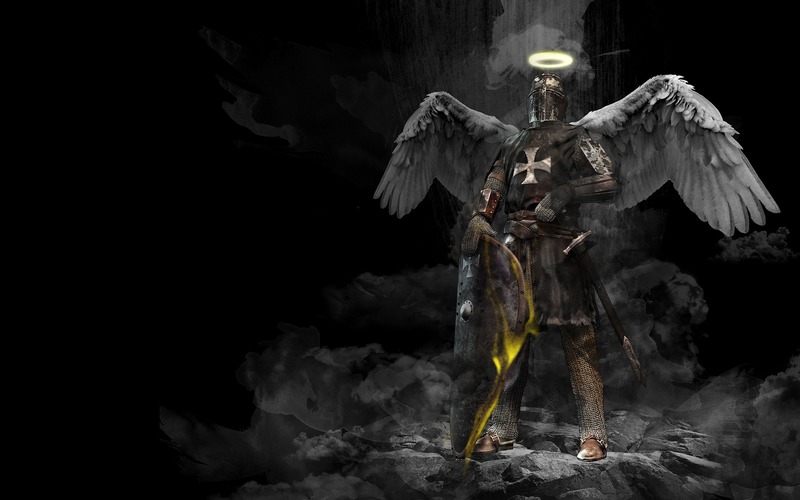 Angels: Spiritual warriors guarding God’s people. They guard you, who know the Lord in faith. God’s Word equipped us with this armor for our spiritual warfare. Angels serve God’s people. The Lord will manage all his worldly concerns, and preserve his life on earth, so long as it shall be good for him. A man may die young, yet be satisfied with living. But a wicked man is not satisfied even with long life. You acknowledge and confess the name of Jesus as the only name that saves. You know Jesus as your Lord who redeemed you to be his very own, ransoming you with his blood, so that you are his dear people through faith in him. Lord promise to guard his people with angels. God’s special promise to us; to those who know him in faith. He commands his angels to guard you. We take God at his word. That’s what faith does. God is engaged to an absolute protection of men, not only when they unnecessarily thrust themselves into dangers, but in the most abominably sinful actions whatsoever, which would have been a direct contradiction to those many scriptures wherein God threatens to withdraw his hand and leave sinners to the danger of their iniquities.